So the war is over and the hangover has ended, what next? If you thought there was going to be a huge sequel to the series.. you were damn right! 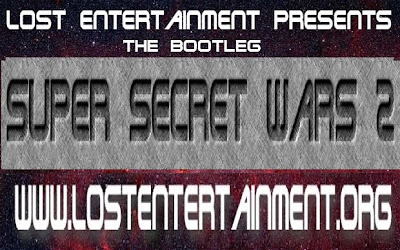 However there will be Halloween and Christmas special editions of the series first, but there will be one giant story in 2014 which will be coined- the Bootleg Super Secret Wars II. Some familiar faces from last time return as well as many new ones. New additions such as the Punisher, Captain America, Thor, Dr Strange, Storm, Super Girl, Daredevil and many more make their debuts. The real life aliases of Batman and Spiderman make appearances as Peter Parker and Bruce Wayne. We have a Bat-mobile now and Spiderman has a new suit also. In this next installment we have gone all out when it comes to bad guys. The Joker and co will remain in jail for this one but new additions such as Dr Doom, Skeletor, Magneto, The Kingpin, The Red Skull, Venom, Bullseye, 2 face, The Terminator and Samual L Jackson all make their debuts in this next installment. Not to mention the return of el Hulkio and the arrival of Darth Vader will stir things up to boiling point also. Scarface and his gangster friends return and play a much bigger roles this time which wages them in a bloody turf war against the Kingpin and his criminal empire. This is the most ambitious project we have undertaken since starting the series a few months back and this one is going to have a decent script and will all come packaged in one giant online issue. We are looking at releasing it around the begining of 2014. As mentioned earlier there will be Halloween and Christmas specials from the Bootleg Super Secret Series. These issues wont be as big and will focus more on the younger characters like Supergirl, Robin, Jubilee, Karate Kid and Peter Parker. Scooby Doo and co are on hand for Halloween as well as the mystery machine. Freddy Krueger, Jason Voohees, Michael Myers and Dracula are also starring in that one. The Christmas Special will involve a Home Alone theme and yes we have a Kevin Figure but there has been no planning or writing of this just yet, so stay tuned. 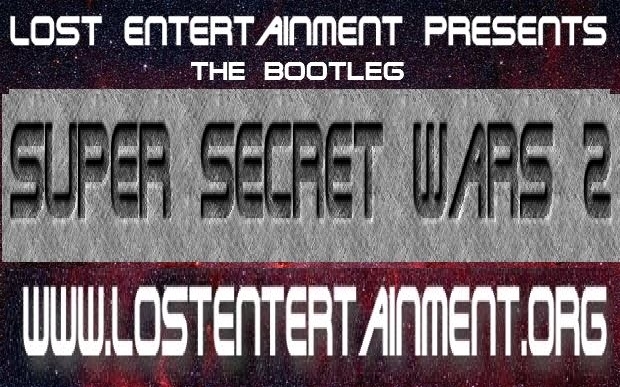 NEED TO CATCH UP ON BOOTLEG SUPER SECRET SERIES?